If you are currently a workforce of short-order cooks, that means that you are constantly reacting, playing catch-up and feeling just behind the curve. Short-order cooks have orders thrown at them, they have to produce quickly and they are working with the most basic of ingredients and tools in order to fill the rapid-fire orders. What I’ve just described is exactly how you don’t want your business to run. Align and manage talent with our downloadable checklist! The goal of implementing a talent alignment platform is to prevent this type of constant reaction. Instead of dealing with talent shortages, skill gaps and other productivity roadblocks as they arise, organizations now have the option to get prepared, get their talent aligned and properly forecast talent needs and issues. We want to create chefs out of short-order cooks. Chefs are working with more than a fry basket, because the dishes that they are tasked with creating are sophisticated and therefore require the right tools. In order to align and track talent needs, company leaders have to supply recruiting and HR with the proper tools. Any effective talent management strategy is going to need a platform that gives executives insight into where their talent is actually allocated in real-time, while giving every person a clear line of sight into how their individual goals drive the company’s success. The type of strategy that we’re talking about is going to require more than a spreadsheet, where all of the action is on the part of the user. Our talent alignment platform provides the action with, and for leadership. If your current standards are to simply hire, produce or keep up, that is the equivalent of not burning the burgers. Again, that’s not where you want your standards, goals and objectives to be. That being said, the difference in standards between a short-order cook and a chef is obvious in what they will each produce, but it is dictated by the material and standards they are given to work with. Talent and goal alignment make each step of every process transparent. The objectives and standards can actually be met when they are properly defined and tracked. In this manner, if progress isn’t taking place, leadership can see the who, what, when, where and why behind it. THAT is how your recruiting and hiring process should flow. If you know that your sales team requires additional help every December, when should those listings and screenings start and when should the right amount of workers begin training in order to be available for the rush? At best, a CEO can only see about 10% of his or her company alignment, owing to the need for reactive leadership. Stop reacting to rapid-fire orders, using basic tools and producing mediocre results. Become an organization with a strategy, effective forecasting and constant improvement. We would like to help you make chefs out of your short-order cooks. Click here to sign up for a demo. From Short-Order Cook to Chef: Talent Alignment Gets You There. Click to Tweet. 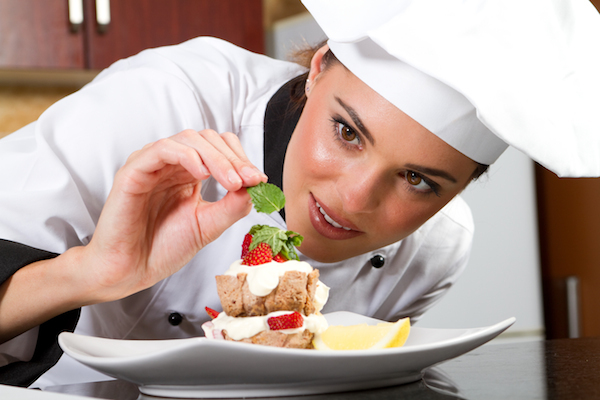 What can a chef teach us about talent management? Click to Tweet.